Offering Top Notch Resorts, Excursions, and Travel Arrangements at the Lowest Prices. 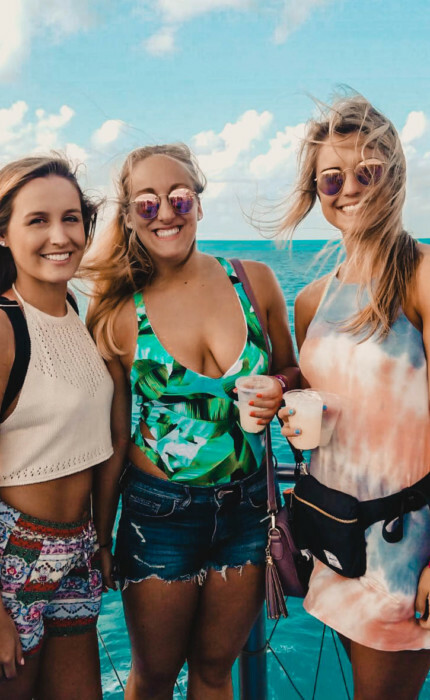 You owe yourself a Spring Break trip filled with music, hot night clubs, and thousand of coeds or a Spring Break Vaca spent relaxing by the beach with a cold cocktail, or just a little bit of both. Go Blue Tours will help put together a spring break you’ll love! 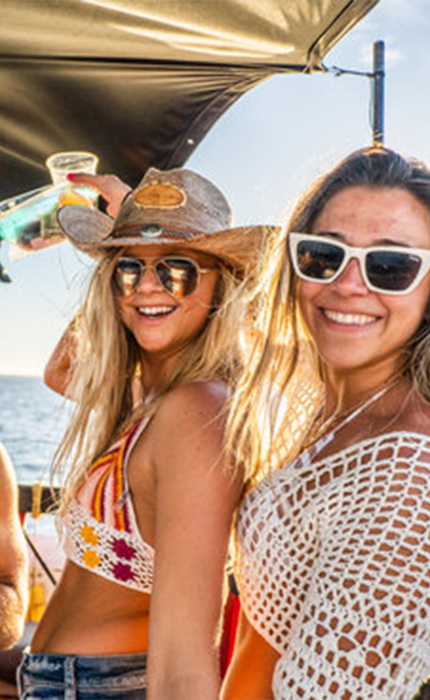 We offer Party Packages in all of the popular spring break hot spots! Capture the all inclusive tropical experience. Relax on the best Caribbean beaches and drink all you want, all of Punta Cana’s resorts are all inclusive. I first off want to say that the sales staff are absolutely amazing to work with. They always answered all my questions, and I had several, and also always responded to my emails very quickly. I felt completely prepared and comfortable about going on this trip because of how prepared they made me for this trip. Next, I want to talk about how amazing the staff on the resort was. Where ever I want there was always someone around I could ask questions to, they were very helpful and always willing to help. Cancun is absolutely beautiful. The water is the prettiest I have seen and the weather is perfect. Go Blue was awesome! The staff who were at the resort every day from Go Blue were always a huge help!! We told the younger kids when we were back that they have to go through you guys!! The resort was amazing in Cabo, and the pool overlooked the ocean. It was so much fun!! The staff was such a pleasure to work with. They were very knowledgeable and insightful throughout the planning process! The rooms were functional & cleaned each day, and the beach was my favorite part. It was beautiful! There were many restaurant options at the Oasis Lite, which was great, especially the Mexican food one. The whole place is amazing, it has everything you need for a great vacation: pools, beach recliners, and even parties on the main stage. The resort service was great in general terms, from room service to the staff in charge of keeping the whole place clean and in good conditions every day. Everyone in my group LOVED the booze cruise, it was definitely worth it and the best part!! The pool area at the Occidental Caribe was great with a swim-up bar and beach bar. They were all really nice and fun. It was great to have big areas for our huge group (80 people) to congregate and not be in anyone else’s way. We LOVED that aspect of this trip! The staff was the best. They gave our group the exact information that we needed to know and always reminded us of payment due dates, party packages, etc. The Krystal was amazing with the view of the beach, and it was awesome meeting people from all over the world. We stayed in Punta Cana and the hotel was very clean, well kept, VERY friendly staff and the beach was stunning. The booze cruise was my favorite part of the trip, I highly recommend going on that, it was soo much fun! Moria couldn’t have been more accommodating and helpful! Thank you so much!! You guys were amazing and I recommended you to the younger group going to Cabo next year. I felt safe and that all your staff was looking out for my friends and I and you were all so helpful. Alex and Lupita were the two that were on our resort and were helping us and they were amazing! The Riu Santa Fe was beautiful and the pool was right on the beach with an incredible view. Food was good too. Very beautiful and tropical!